Homemade vinaigrette using bacon fat…um, yes please. You’ve cooked the bacon, you might as well use some of the salty-goodness to make a dressing, amiright?!?! This salad is hearty and filling and great for a dinner in, or as a side salad for big meal or potluck. If you’re transporting it, you’ll need a way to warm the vinaigrette and can toss it in with the other salad ingredients just before serving. Mmmmmmm! Hope you enjoy this salad! 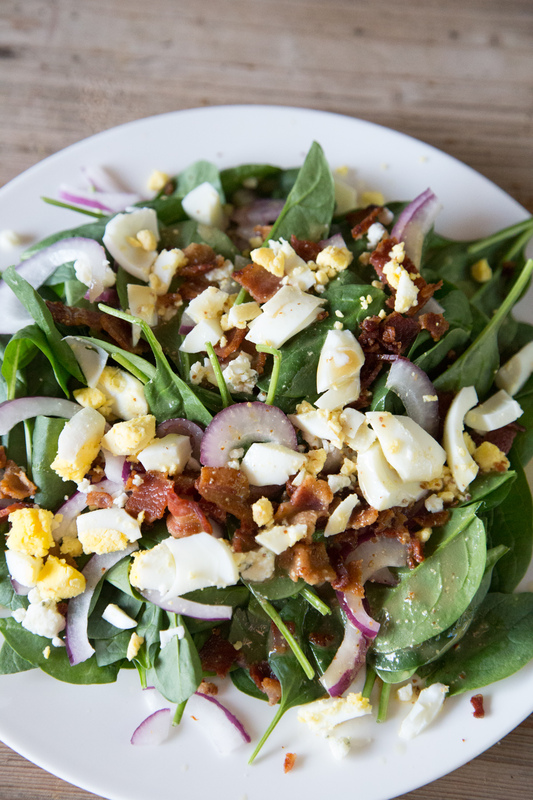 In a large mixing bowl, toss the baby spinach, crumbled bacon, thinly sliced red onion, hard boiled egg slices and crumbled blue cheese. In a resealable glass container, add 3 Tbsp warm bacon drippings with the sugar, spicy or Dijon mustard, red wine vinegar, dried thyme and a pinch of salt and pepper. Shake vigorously. Pour the warm Bacon Vinaigrette over the salad. 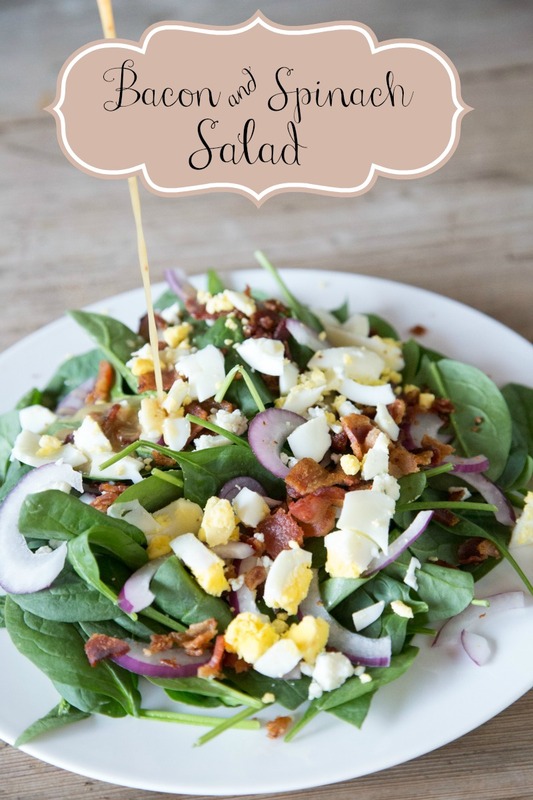 Serve Spinach & Bacon Salad with Bacon Vinaigrette for lunch or light dinner, or as side salad.